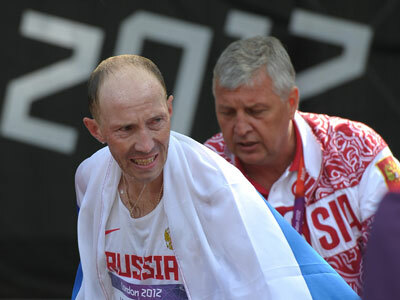 Russian veteran walker, Sergey Kirdyapkin, who got a wild card in the country’s Olympic team a few weeks before the Games’ start, has won the 50-kilometer walk breaking the Olympic record by more than one minute. Kirdyhapkin, who replaced the injured Russian team’s leader Denis Nizhegorodov before the games, finished 54 seconds ahead of Jared Tallent of Australia, who took silver. Si Tianfeng of China was 1 minute, 17 seconds behind to win bronze in the grueling race along the streets of central London. 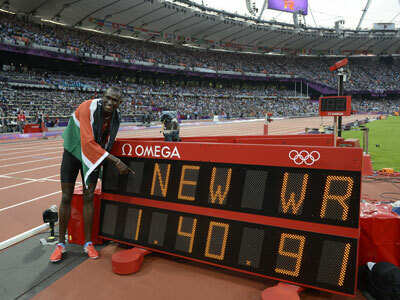 Kirdyapkin took a commanding lead at the 45-kilometer mark and crossed the finish line near Buckingham Palace in 3 hours, 35 minutes, 59 seconds, 70 seconds faster than the previous Olympic record. This was Russia’s first Olympic gold in the discipline in the country’s moderns history. 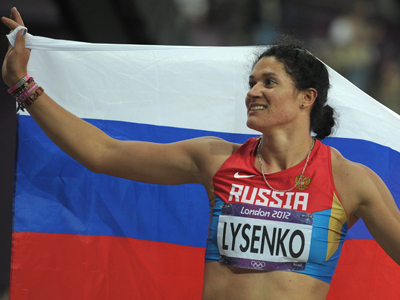 Kirdyapkin, who failed to finish the race at the 2008 Beijing Games won the world championships in 2005 and 2009. Two other Russians Igor Erokhin and Sergey Bakulin finished 5th and 6th respectively.